Over Christmas when I was home (as in, "my childhood home") visiting my family, we got into a quandary conversation about "where does 'this' go?" The 'this' in question was one of many things--a bottle, the pizza box, foil...you name it. The "where" in question was either "trash" or "recycling." We've all been recycling for years, but it seems as if the rules are always fluid, always shifting as to what "can" and "cannot" be recycled. Is it a municipality thing? Is it a "we feel vindicated because we're recycling" thing, but really a "we're being snowed" thing? Are we making our recycling unrecyclable because we're not putting enough effort into the act (and perhaps "art") of recycling? At one point years ago, our local recycling was pitching the motto: "when in doubt, recycle it out." (Well, give or take--I added the rhyme.) They wanted to encourage over-recycling, saying they'd sort it out. Having just gone online and checked out their website, they've since come to change their view. Recycling just doesn't seem easy nor intuitive anymore! 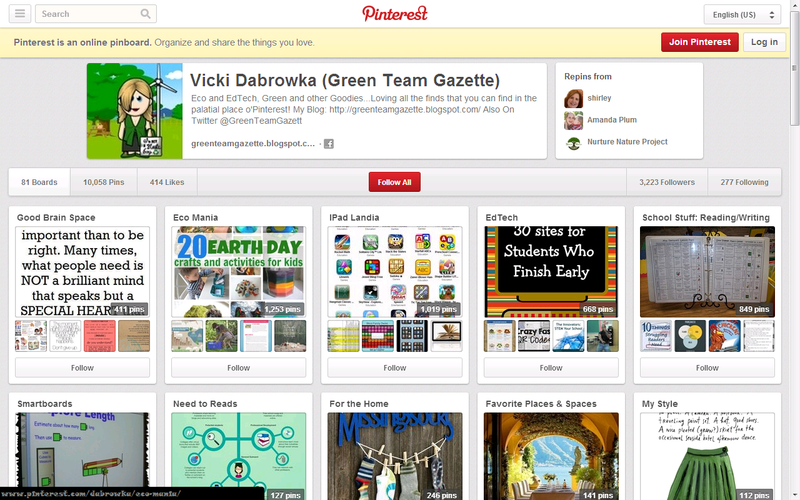 As part of my quest to re-figure out this recycling thing, I checked out a few articles. 538.com's 1/10/2019 article "The Era Of Easy Recycling May Be Coming To An End" reiterated the point that recycling has changed. 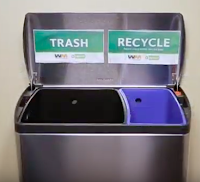 Single-stream recycling (where we put them all into one bin and let the recycling center sift & sort it out) has made recycling efforts grow from 29% to 80% in the 9 years between 2005 and 2014. However, single-stream is not as cost-effective as it once was. 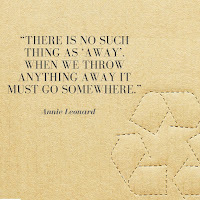 Add in the fact that the mixed mess we are throwing out in that recycling bin can cross contaminate other recyclables, making our recycled items UNrecyclable! We're essentially shooting ourselves in the foot (about 25% of the time), BUT feeling good while we do it, because we wrongly think we are doing something for our planet! Put plainer: we ultimately have higher rates of recycling happening when it's single-stream, but higher contamination rates too. Which means higher rates of recycling landing in the landfill. "There are also electronics and batteries, plastic grocery bags and Christmas lights — all of which can be recycled, but only through specialty drop-off programs, not the curbside bin. There are perfectly recyclable cans and paper coated in food, grease or cleaning fluids that render them unrecyclable. There are plastic bottles full of glass syringe needles that break open at the sorting facilities like a piñata from hell." Additionally, glass bottles break, water bottles flatten, tin cans get smushed and misread by the machines. Shards of glass wind up enmeshed in cardboard boxes. Even some of the glues, inks and or packing tape wind up fouling up the machines. All of these cause problems, making single-stream more expensive and lowering recycling rates. It's not surprise that communities are starting to move away from one-stop-shopping recycling. "Even the seven most common types of plastic used in consumer manufacturing–stamped on the bottom with a number inside a triangle–are replete with inconsistent resin composition, color, transparency, weight, shape, and size that complicate and often rule out recycling. For example, a #1 soda bottle has different melt properties than a #1 lettuce container, making the lettuce container a contaminant for the soda bottle. Colored soda bottles cannot mix with clear soda bottles. Yogurt containers cannot mix with milk jugs, even though both are white. Filmy cling wrap can be recycled in theory, but is too often contaminated by food. The limitations are too many to count." If that didn't make your heads spin right there... just wait. There's more. 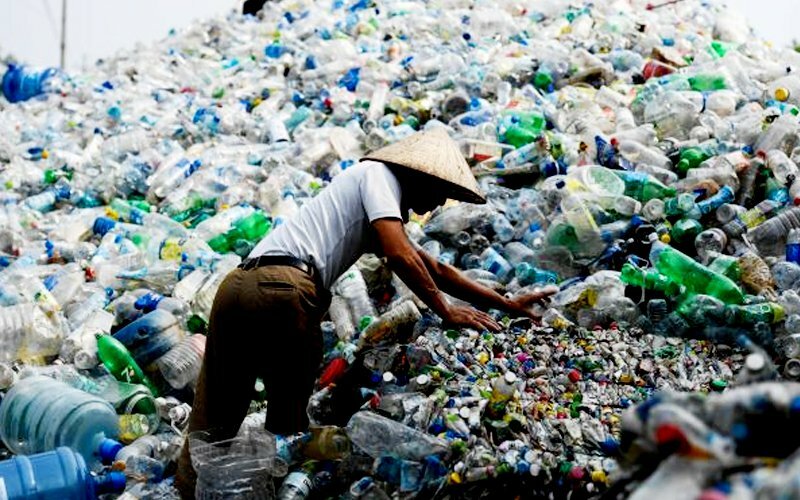 National Geographic's article China's Ban on Trash Imports Shifts Waste Crisis to Southeast Asia details how China's trash import ban has been a game changer for all of us. For a year now, China (previously the largest importer of plastic waste) stopped buying the majority of what's out there. Their pursuit was for the 99.5% pure plastic trash. That upset a $200 Billion plastic scrap/plastic crap global industry... uprooting a 25 year roll! But the trash has to go somewhere--and most Americans buy into the "NIMBY" philosophy--"Not In My Backyard! So where has all this recyclable waste gone? Indonesia, Thailand, Vietnam,, & Malaysia. And, being "newbies" versus 25 year veterans, the learning curve led straight to overwhelm due to quantity alone! “I hate seeing my country as the dumpsite for the developed world,” said Yeo Bee Yin, whose full title is Minister for Energy, Technology, Science, Climate Change, and Environment. She declared that 'no developing nation should be the dumping site for the developed world.' "
Malaysia may now be considered the world's largest importer of plastic trash--and potentially the largest trash heap. Who wants that for their country?! But, perhaps it's the wake up call we all need in terms of thinking about our use of resources in order to help minimize the idea, especially with a potential of 10 billion people on our planet by 2050. The rate of waste is only growing. More people could get us to an increase of 70% over the next 30 years, meaning the garbage problem is only going to get worse! Economy always rules the game. Especially when it is often exponentially cheaper to ship from the American West Coast to China by boat versus land-transport across our own country. 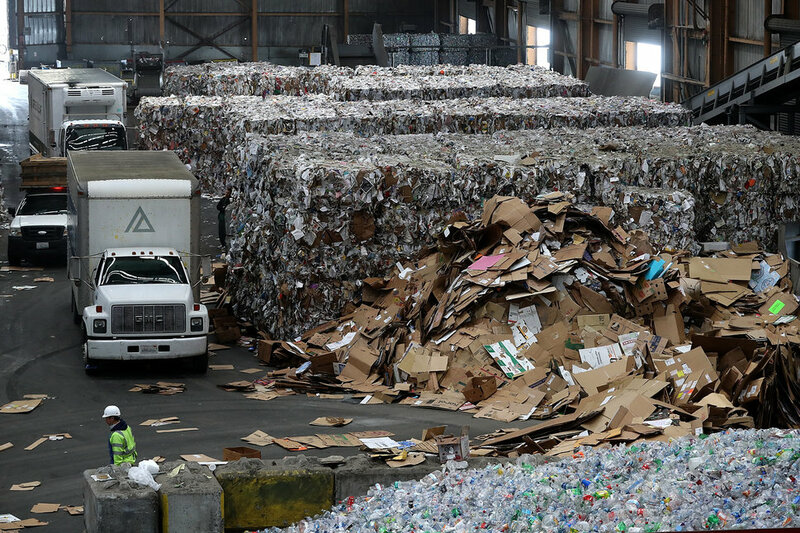 The uncertainty in the recycling markets doesn't help. Additionally, there's now become a market for illegal importation of plastic trash. If there's a potential economy for anything, I suppose there's the potential for an illegal market of "that thing" as well. Sad but true. So what ARE you supposed to do? Curl up in the fetal position? Bury your head in the sand? Drink ourselves silly? Those strategies, while temporarily comforting, aren't going to help. Given this feels like the doom & gloom, mind-numbing portion of the program, I hate to stop here. But as you can tell, there IS a lot here. Given that, I'm going to share the silver linings in a secondary post. 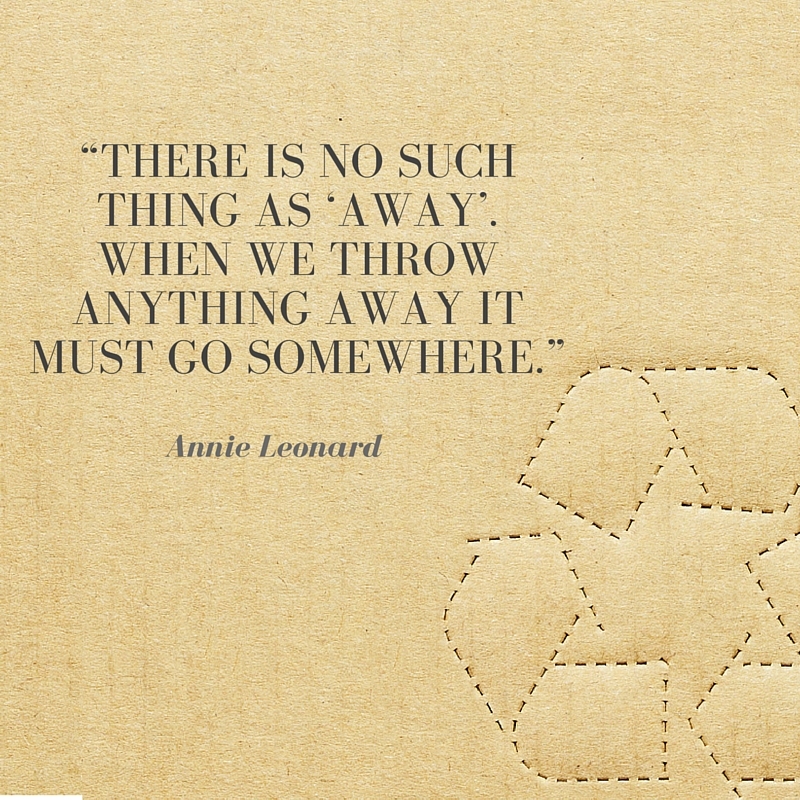 The good news is there ARE still ways we can take action and rein in the recycling. Huffington Post's "The Dirty Truth Is Your Recycling May Actually Go To Landfills"
WasteDive's "Market Effects Vary By State, But Widespread Agreement Is Recycling Needs to Change"